We are involved in manufacturing, trading, exporting and supplying a wide range of Fused Magnesite. In the manufacture of these products we use high grade material under stringent guidance of highly qualified and skilled professional. 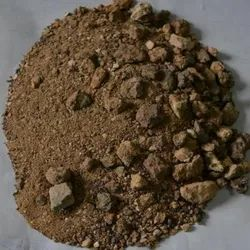 It is picked from supreme grade fused magnesite or high purity caustics calcined magnesite, which is mixed in arc furnace. Packaging Size: 10,20,30,40,50 kg or as per customer requirements. We are engaged in providing high-end quality of Calcined Magnesite to our clients in India and abroad. 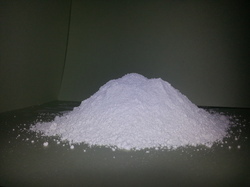 The offered white barytes powder is free from any type of adulteration and is highly applauded in the market. Precise pH balance and premium quality makes it an ideal choice for paint, plastic and many other industries. Magnesite is a carbonate of Magnesium (MgCO3), which is known as "Raw magnesite". This Raw Material as such is not used in any Industry except in Chemical Industry in small quantity. Magnesite when heated to 800°C to 1000°C all the CO2 content in it is driven off, the residue so obtained is known as Calcined Magnesite (MgO).